We write on behalf of the Middle East Studies Association of North America (MESA) and its Committee on Academic Freedom to express our concern about your administration’s response to a protest organized by several UCI student groups that took place on May 18, 2016. MESA was founded in 1966 to promote scholarship and teaching on the Middle East and North Africa. The preeminent organization in the field, the Association publishes the International Journal of Middle East Studies and has more than 3000 members worldwide. MESA is committed to ensuring academic freedom and freedom of expression, both within the region and in connection with the study of the region in North America and elsewhere. We are troubled by your assertion, in a statement to the UCI community on May 19, 2016, that the actions of student protestors the previous day at the showing of a documentary on the Israel Defense Forces had “crossed the line of civility.” This assertion, well before any thorough or impartial investigation of what actually happened could be conducted, strikes us as inappropriate and counterproductive. We are also troubled that UCI has apparently initiated disciplinary proceedings against only one of the student groups involved in the protest (Students for Justice in Palestine, SJP), raising the possibility that this group has been singled out in a selective and discriminatory manner. We are particularly disturbed by UCI’s decision to involve law enforcement in this incident by referring the incident, and the names of certain student protestors affiliated with SJP, to the Orange County District Attorney’s office for investigation and possible prosecution, even before the university’s own disciplinary proceedings have been concluded. In the absence of evidence that the protestors violated university rules, much less local or state law, such a referral is not only premature but irresponsible. Moreover, as a matter of principle, we do not believe that UCI or any institution of higher education should involve law enforcement authorities in the investigation of constitutionally protected student protest activity, especially in the absence of clear and compelling evidence of any violation of the law. 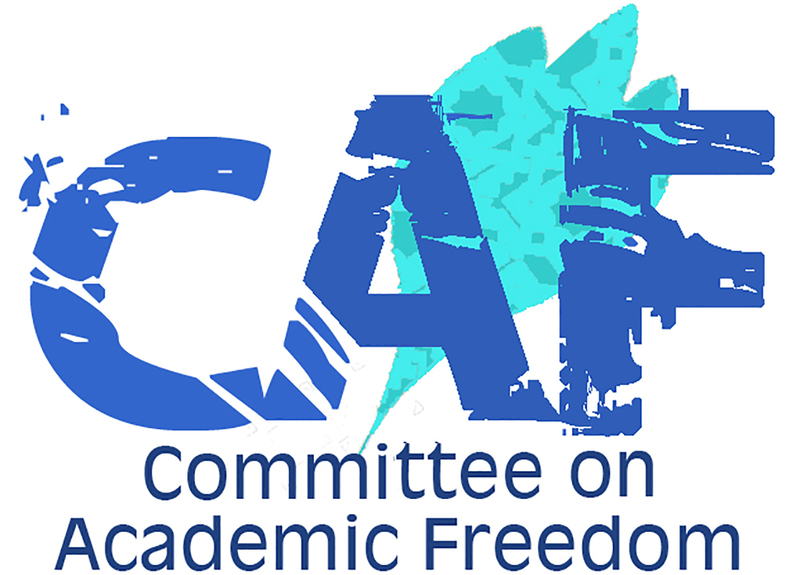 As scholars and educators, we believe that universities must resolutely uphold and defend the principles of academic freedom and must also be sanctuaries for the free expression of ideas and opinions by all members of the university community, however controversial. The rights of those who organized the screening of the documentary on May 18, 2016 merit protection; but so do the rights of the students who chose to engage in what seems to have been peaceful protest at the screening. University administrators should not be provoked by protests, even disruptive ones, to an unwarranted and selectively punitive response; to do so would be to undermine the vigorous (sometimes rowdy) give and take that are essential to the preservation of free speech, the protection of academic freedom and the mission of our institutions of higher education. Given that UCI’s investigation of this incident has not yet been concluded, we call on you to retract your assertion to the university community that the protesting students had “crossed the line of civility.” We further call on you to publicly affirm that any disciplinary proceedings initiated by UCI in connection with this incident will be conducted impartially and in a non-discriminatory manner. Finally, we urge you to appeal to the Orange County District Attorney’s office to drop any investigation of this incident and of anyone involved in it that it may be conducting, and we call on you to refrain from referring such incidents to law enforcement authorities in the future.